Elite Dental Lab provide an all-encompassing range of innovative denture production services. We provide full comprehensive prosthetic dentures for clinics from full to partial; acrylic, cobalt chrome, and flexible dentures. Our Gold Coast dental laboratory can precisely create dentures through the entire production workflow from 3d rendering design, model production, to the completed restoration. Our flexible process enables our dental technicians to customize each unit specific to the patient for a perfect and accurate fit. Acrylic dentures are the most cost effective option out of all the denture choices. They are the most efficient when it comes to replacing, repairing and inclusion of additional teeth. If decay or teeth extraction is required for current teeth, then additional teeth can easily be included into the partial. A majority of acrylic dentures contain steel support, but may not be necessary in some cases. At times they can be entirely made of Acrylic including artificial teeth and gums. The “gum” lining is part of the fixture of the denture. As a result of the low cost, acrylic plastic based dentures are brittle but with good proper maintenance by the patient can potentially last years. Alternative retention options for acrylic dentures are clear or tooth coloured resin containers. Metal Dentures are constructed with medical grade chrome or titanium alloy. Usually a thinner and more discreet solution due to being smaller than other denture types. 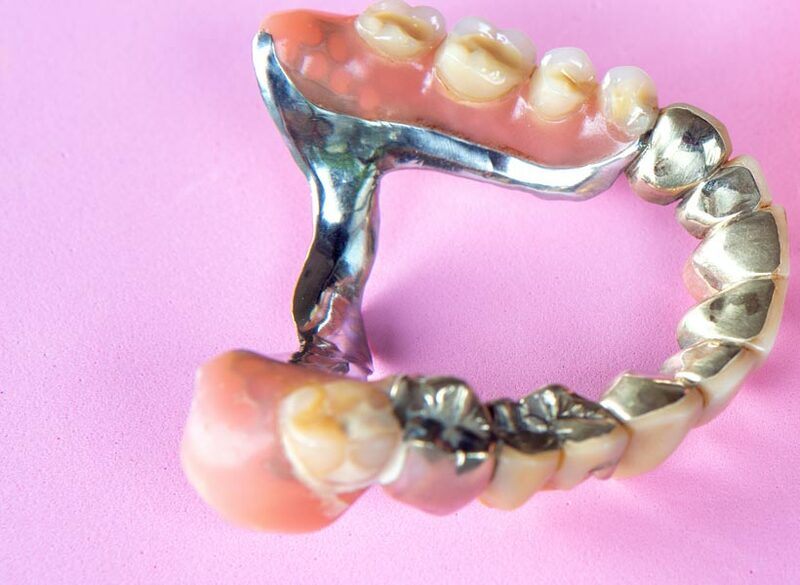 Being made from Chrome, Cast Metal Partial Dentures offer great strength and durability. The Metal structure also provides great further support to the mouth and a less susceptible to breaking. The metal lining is mostly hidden. Meaning, not evidently visible by other parties during conversation. Although thinner, the metal is stronger therefore the joining between one side of the mouth to the other allow for less obtrusion. Metal Dentures are less likely to cover the entire palette (roof of the mouth). Therefore allowing patients to sustain standard tastes in the mouth and normal verbal pronunciation. Generally Metal Dentures outlast standard acrylic dentures, therefore long term results can be more cost-effective. 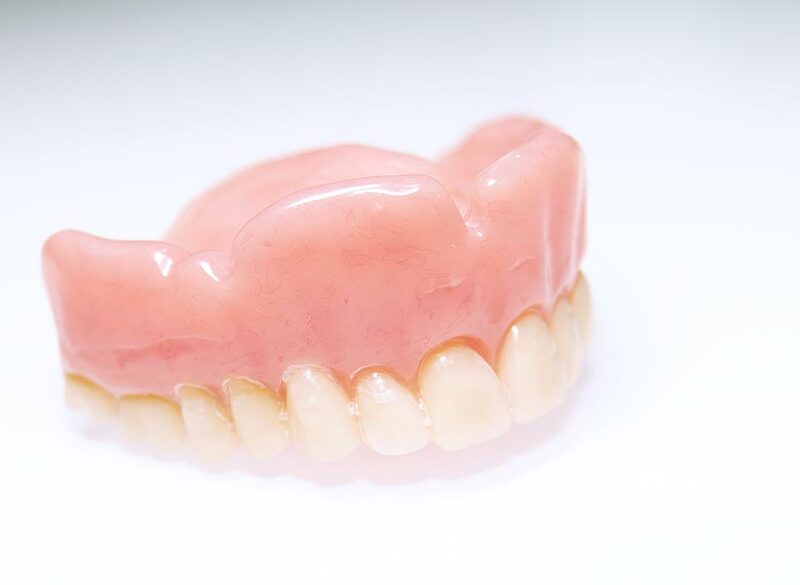 Our Nylon Flexible Partial Dentures are generally made from thermoplastic nylon having a transparent appearance. The transparency is more cosmetically appealing since the dentures blend in naturally to the gum lining. Flexible dentures do not contain any metal, therefore providing a more natural, comfortable look and feel. The thermoplastic nylon is used to clasp/hook between the teeth, rather than metal dentures that can at times be visible. Unlike acrylic dentures, they do not cover the entire palette and in doing so are less likely to cause difficulties while eating or communicating. 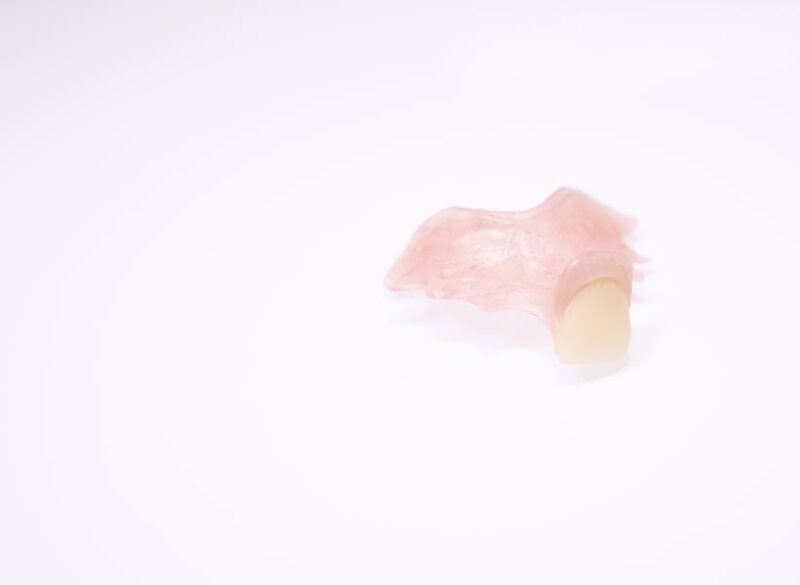 Valplast® is a trandemarked branded Flexible Denture material. These are often ideal for partial dentures or unilateral teeth restorations. Valplast® allows for natural gum tones to appear through the material. Flexible dentures are stronger than acrylic dentures since they are flexible in nature, which allows for natural movement of the mouth. The benefit of Valplast® is that they can be efficiently re-aligned and adjusted in the future. This allows for teeth to be added in the future.